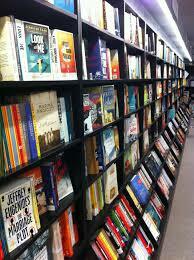 Is it just me, or does it feel like open season on NZ bookshops and writing at the moment? There’s an axe hanging over Te Papa Press, no NZ Book Month, no book awards, BNZ pulling out of the Katherine Mansfield Awards and now the demise of the Queen St Whitcoulls. And it’s all coming on the heels of ever-increasing bookshop closures. On Lambton Quay alone, we’ve lost Parsons, Dymocks, Paper Plus, that one at the end near the Beehive… Among Wellington’s second-hand bookshops, Quilter’s is gone and apparently Ferret’s too now. Where will it end? Online shopping is all very well, but there’s nothing quite like browsing in a bookshop: the smell of fresh pages, the feel of a spine… Thank goodness for Unity. It is dire, isn’t it? I didn’t realise the BNZ was pulling out of the Katherine Mansfield Award as well — I believe they were sponsoring it when I was at High School! I think it’s a pretty damning indictment of NZ’s cultural paucity as a national. Doubtless, however, my viewpoint is biased being a writer and poet myself. No more sponsorship for the KM Menton Fellowship either & the National Schools Poetry Award is currently fundraising too. Best thing to do is to make these things self-sustaining through establishing a capital fund, which is what the Menton Fellowship is going for. Wow… But not in a good way. I noticed the other day that Arty Bee’s is now just one floor. Goodness me. Still, the Fringe Bar seems to be doing OK (fingers crossed). I’m pushing the New Zealand Poetry Society competition at school and we have a healthy creative writing group. Good to hear about your school creative writing group, Harvey. Yes, there are glimpses of sunshine. I’m told Ferret’s hasn’t actually closed – they’re just moving. Also the Auckland Writers & Readers festival had 60,000 people in attendance and book sales were apparently very good too.